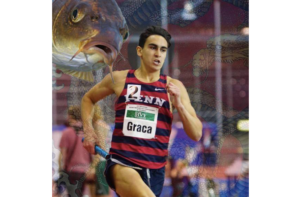 After a stellar running career at Fox Chapel Area High School, Elias Graca has continued on with great success at the University of Pennsylvania. 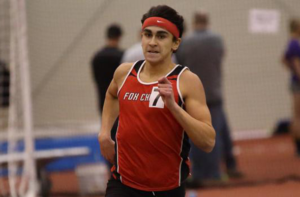 A 2015 Fox Chapel Area grad, Elias still holds the high school’s outdoor track record in the 800m run with a time of 1:51.97. He also was a member of the Foxes’ 2013 1,600m relay team that set another record when they finished 3:20.59 in that event. 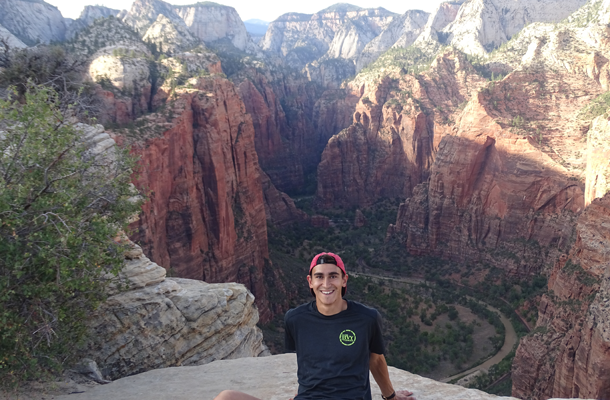 Additionally, when Elias graduated from high school, he was considered one of the best indoor 800m runners in the country, and was named a New Balance Indoor Track All-American. Q: What have you been doing in the past few years? Elias: I’m now a senior year at the University of Pennsylvania where I’m majoring in Politics, Philosophy, and Economics, and East Asian Languages and Cultures (EALC), with a minor in Japanese. I am a middle distance runner on the men’s indoor and outdoor track teams and was named one of the track captains. Q: What has been your proudest moment as a college athlete? Elias: My proudest moment was being part of Penn’s DMR (distance medley relay) team that set the school record at the 2017 Penn Relays. It was the kind of day where team interdependence and accountability meant everything – and our whole squad rose to the occasion. We all ran with heart and displayed some of our best times of the year on this relay. It was an emotional performance and testament to how far this team has come. Q: What has been your biggest obstacle when juggling athletics with a very challenging academic environment? Elias: From an athletics point of view, Ivy League academics probably were the thing that presented the largest obstacle to performing and training. It’s a huge balancing act when you’re a freshman and everything is changing at once. I think it honestly took me until the beginning of my junior year to get a sense of stability. To say that I overcame it is probably misleading, but I did become used to the demands of the classroom juxtaposed against athletics. As a senior, I hope to be able to balance professional and academic ambitions while keeping a steady and passionate commitment to track. Q: How did high school prepare you for college and the demands of athletics? Elias: I think high school track presented the steep learning curve that every college athlete needs to go through. Once you get to college, everyone on your team is used to hard work to some degree. You learn how to push your body and your mind unlike you ever have before. I was lucky to have many examples of hard workers and passionate people around me at Fox Chapel Area. From coaches Tom Moul and Justin Patterson and John Wilkie, to my former teammates Michael Mawhinney and Chris and Ethan Martin, my teams had people who cared. Elias: I’m interning at a startup in Tokyo through the Penn Global Internship Program (GIP), which works with another facilitator called the Intern Group. The company I’m working for is called Onedrops, and they work to help Japanese companies and professionals expand their businesses into global markets. So far, I’ve been working in their “Spark Dojo” program, which teaches professional English communication to ambitious Japanese business people. It’s been an amazing experience so far – I want to absorb and photograph as much of the culture as possible, and also improve my Japanese. Elias: I love hiking, and recently I’ve been using my dad’s camera and trying to do some cool photography. I can devour a book if I’m really getting into it. Exploring whatever city I’m in, even if it’s my own, is a great way to spend a day as well. Q: What advice would you give to high school athletes who want to continue their sport in college? Elias: It’s tempting to place yourself relative to your teammates and your competition when gauging success – this is dangerous. Don’t let the ceiling of what you think you can achieve stop at what you’ve seen other kids do.